Happy Monday! And say what? This is another mom-ism I had never heard until my kids coaxed it out of my Mom quite by accident. The saying has something to do with this picture. My kids were playing a game with their Nanny. She couldn't figure out their game. They asked "Do you give up?" She replied "Calf Rope!" Our heads spun like Chucky's as we said in unison "CALF ROPE?" She looked puzzled. We asked her to explain the meaning of her outburst. 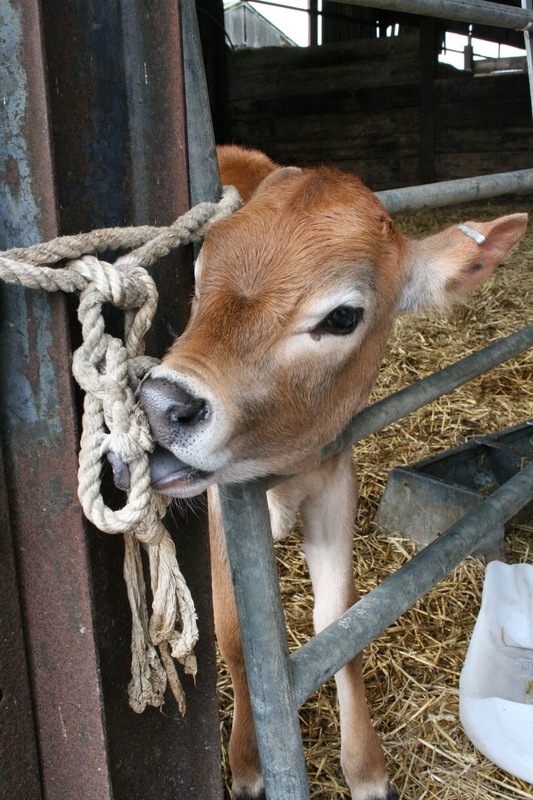 Calf Rope is basically the equivalent of saying "Uncle"! Nanny told us her older brother Hubert would make her and her twin sister say it for no particular reason. He would hem them in the barn until they said it or hold them down just as child's play to make them say it. Boys will be boys, won't they? They mmmeean! I thought "Calf Rope" was a fluke until I stumbled upon it in the Dictionary of American Regional English. The dictionary says it originated around 1878 in mostly southern but some mid-western states. Calf rope means to surrender, give up or capitulate. Who knew? Did you and your siblings yell "CALF ROPE"? Leave me a comment with your best story or if you ever heard it at all. Too sweet Shirlene! Mom said Hubert actually pinched them until they said it! Boys are truly mean. It's definitely a bit unusual! Have a great day!